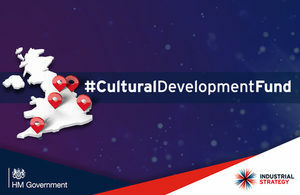 Five locations across England will receive a share of £20 million to invest in local culture, heritage and creative industries and help drive economic growth, Culture Secretary Jeremy Wright announced on the 18th January 2019. Grimsby will receive £3.2 million. The bid will deliver a new programme of international events and public art to revive the town centre, provide a business support programme for local creative businesses and create new production facilities in the town’s historic centre.